Highlights from Watford's 4-1 win over Fulham in the Premier League. Abdoulaye Doucoure scored his second goal in as many matches to break the deadlock (23) but Fulham showed good spirit to equalise before the break through Ryan Babel (33). Javi Gracia made two substitutions at the interval, and his tactical alteration paved the way for a dominant second period for the hosts as Will Hughes' superb volley helped them regain the lead (63). 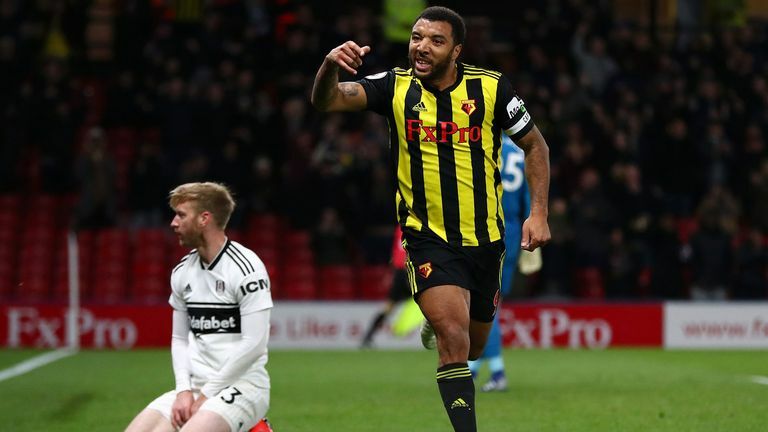 Visibly deflated by the setback, Watford substitute Andre Gray took full advantage to set up Troy Deeney for a simple third (69) before laying off for Kiko Femenia to compound Fulham's misery (75). Watford: Foster (7), Femenia (6), Holebas (7), Cathcart (7), Mariappa (6), Capoue (7), Hughes (8), Doucoure (7), Pereyra (6), Deulofeu (6), Deeney (7). Subs: Janmaat (6),Sema (n/a), Gray (8). 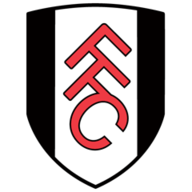 Fulham: Rico (7), Bryan (6), Christie (7), Ream (5), Le Marchand (5), Chambers (5), Anguissa (5), Cairney (6), Sessegnon (7), Babel (6), Mitrovic (6). Man of the match: Will Hughes. The result means the west Londoners cannot escape the bottom three with five games remaining, and despite over £100m worth of investment last summer and three managers, they will return to the second tier next season. Watford are up to eighth and have now earned 46 points this season, their best ever return in a Premier League campaign and the most points they have accrued in the top-flight since 1986-87 (63) - but Doucoure started and finished their one clear opening of the first half. After Deeney had flashed a header wide from Femenia's cross, Fulham contrived to once more concede possession from their own goal-kick as Doucoure dispossessed Tom Cairney and ran onto Hughes' lay-off before driving his left-foot shot beyond Sergio Rico. 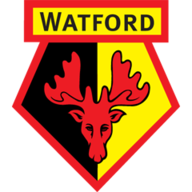 Watford made four changes: Kiko Femenia, Jose Holebas, Craig Cathcart and Adrian Mariappa came in for Adam Masina, Miguel Britos, Daryl Janmaat and Christian Kabasele. Fulham welcomed back Aleksandar Mitrovic from injury while Tim Ream also started as Timonthy Fosu-Mensah and Floyd Ayite dropped out. The visitors' defence stood off the Frenchman as he found the net, but Watford failed to build on their lead as Parker's side produced a rare show of character to level. Ryan Sessegnon, who was the stand-out player in the first half, escaped Jose Holebas down the right and threaded a fine pass into the path of Babel, who rounded Ben Foster to score his third goal since joining on loan from Besiktas in January. But Gracia has been the season's most underrated manager, and he showed his tactical nous as not for the first time this campaign, Gray was introduced at the break as part of a double substitution, with Holebas more prominent down the left. Fulham did have the chance to complete the turnaround when Sessegnon was thwarted at the feet of Foster - but they could do little about Watford's second. Holebas' corner was cleared by Maxime Le Marchand, but Hughes was in the perfect place to arrow a left-foot volley beyond Rico via the underside of the crossbar. Rocked by the moment of brilliance, Fulham were punished for leaving too much space as they duly conceded twice in the space of six minutes. First, Gray combined exquisitely with Deeney for the Watford captain to tap in his ninth league goal of the season. Holebas was denied by a brilliant save from Rico, but Fulham's relief was short-lived as Femenia was soon played in by the lively Gray to seal Fulham's fate. 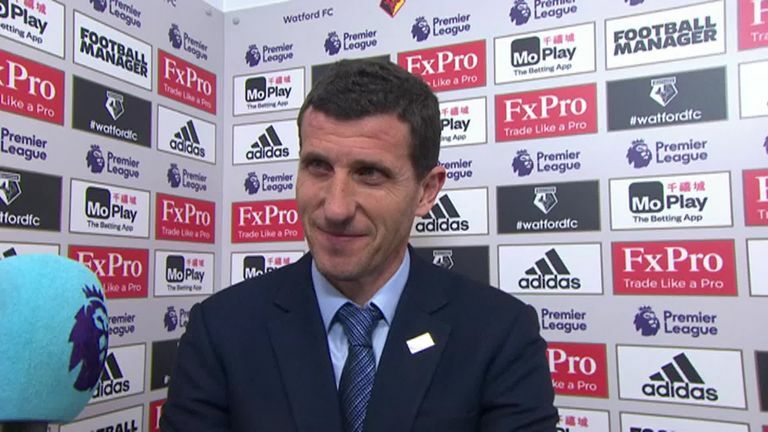 Javi Gracia: "We can now think about the next game - an important game, a semi-final. All the people are looking forward to the moment. To achieve 46 points is something amazing. 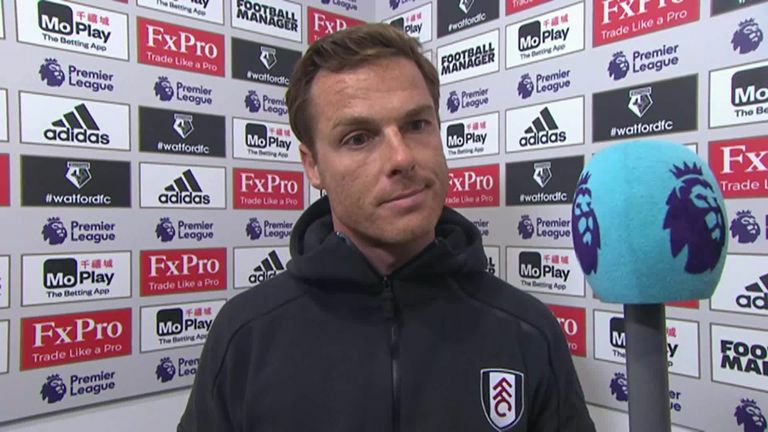 Scott Parker: "I think initially, as much as I'm disappointed that we've been relegated, the most frustrating and disappointing thing is the manner in which we've lost tonight. "There were positives, but I think those 10 minutes, when they scored their second to make it 2-1, it's probably a snapshot of us and of Fulham this year, really. That's why we are where we are. "We tried to grind it out and weather a storm, but we've struggled to do that at times." This season's relegation of Huddersfield and Fulham makes April 2nd the earliest date by which two clubs have been relegated in a single Premier League season. Ryan Babel has been directly involved in five league goals (three goals and two assists) for Fulham since making his debut in January, more than double that of any teammate. Fulham winger Ryan Sessegnon has assisted six Premier League goals; only four players have assisted more goals in the competition before turning 19: Francis Jeffers, Michael Owen (both 11), Cesc Fabregas (10) and Wayne Rooney (8). Fulham were unfortunate not to be leading after an hour in which they had been the better side, but in the end, the visitors were thankful to Sergio Rico that the margin of Watford's victory wasn't bigger than three. Hughes played a major role in alleviating the tension with his first league strike since August capping an energetic display from the 23-year-old. Gray ran him close as the game's outstanding contributor given his two assists - just the second player to provide two goals in one Premier League games as a substitute this season, after Aaron Ramsey against Tottenham in December. But such was the venom in his strike with the game poised at 1-1, it is hard to look beyond the talented Englishman thriving under Gracia. Watford face Wolves in the FA Cup semi-finals on Sunday before returning to Premier League action on the Monday Night Football against Arsenal on April 15. Fulham host Everton at Craven Cottage on Saturday, April 13 (kick-off: 3pm).